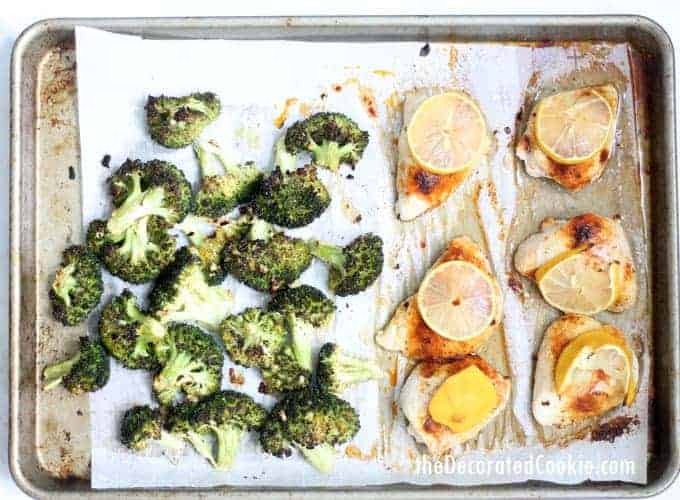 This easy broccoli and lemon chicken sheet pan dinner is delicious, full of flavor, and ready in under 30 minutes. It’s low-carb, Keto-friendly, gluten-free, and an all around winner. Just as I paired green beans or asparagus with kielbasa, here I pair broccoli with chicken because both take longer to cook. So they go well together on the sheet pan. 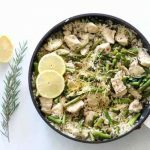 Looking for more low-carb ideas? Try my cauliflower grilled cheese. Or these Parmesan crisps for a delicious snack. I cut and/or pound the chicken so it’s about 2 1/2 by 4 by 3/4-inch. I find that size works well timing-wise with the broccoli. I often don’t really measure the ingredients and just eyeball it to my own tastes, so it’s really a flexible recipe. Leave out the red pepper flakes if you’re not a fan of a little heat. 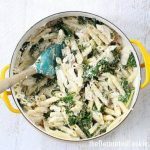 Try serving with wild rice or scalloped potatoes. I like my broccoli a bit browned so it’s a little crisp. 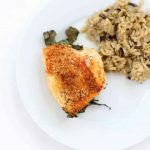 If you like it less browned, cut the chicken smaller and cook for less time. 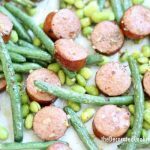 FIND THE SHEET PAN KIELBASA AND GREEN BEAN DINNER RECIPE HERE. 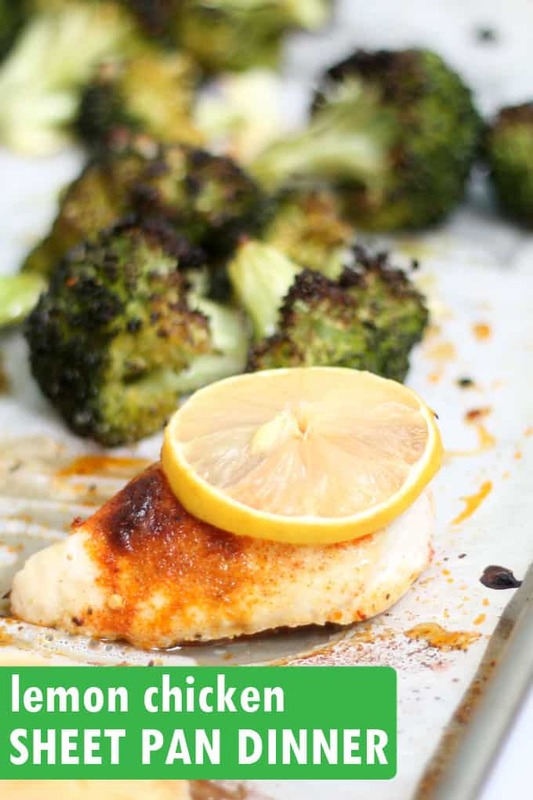 Preheat oven to 425 degrees F. Line a rimmed baking sheet with parchment paper and set aside. Place the broccoli florets in a large bowl. 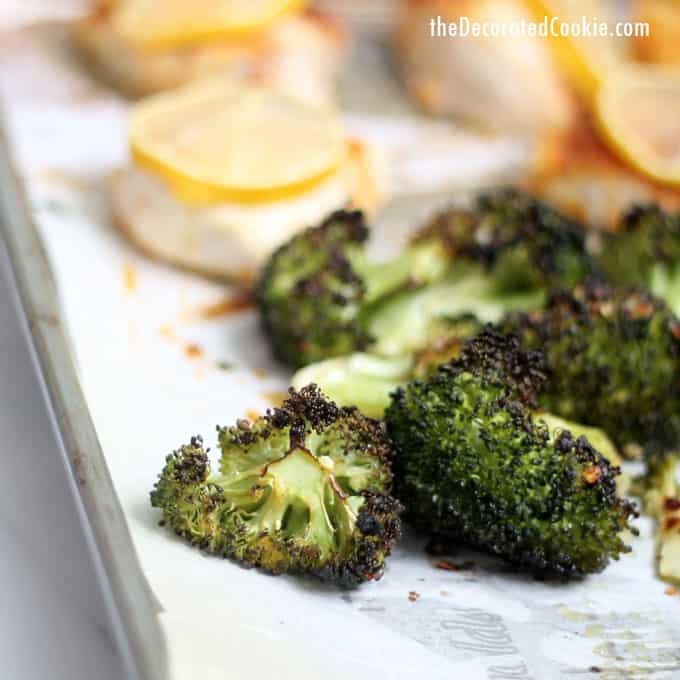 Pour 3 tablespoons olive oil over the broccoli. If the broccoli seems too dry, add more olive oil. 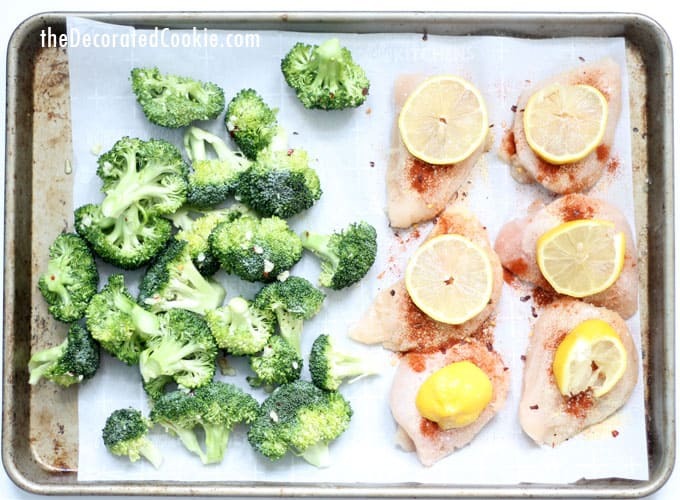 Squeeze the half a lemon over the broccoli. Add the minced garlic, salt, lemon pepper, and red pepper flakes (if using) and stir well. Spread on half of the baking sheet. 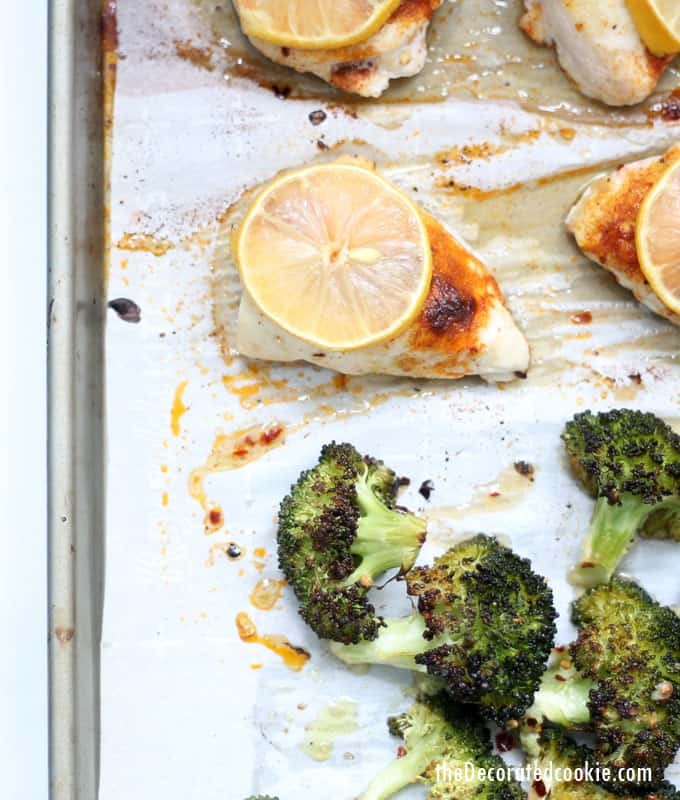 Place the chicken breasts on the other half of the sheet pan. Brush generously with butter or olive oil. Sprinkle with salt, lemon pepper, garlic powder, paprika, and the red pepper flakes (if using). Place lemon slices on the chicken. Bake until the chicken is cooked through to 165 degrees F, about 20 to 22 minutes. Bake until the chicken is cooked through to 165 degrees F, about 20 to 25 minutes.